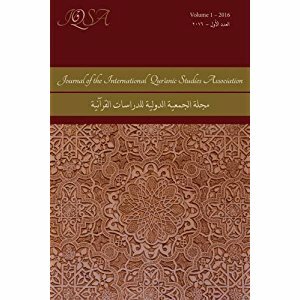 Journal of the International Qur’anic Studies Association Michael E. Pregill (Editor), Vanessa De Gifis (Editor), Ryann Craig (Editor) 2016-, Lockwood Press, 2017, 120 p.
Publish scholarship of high technical quality on the Qur’an, discussing its historical context ; its relationship to other religious text traditions ; and its literary, material, and cultural reception. We invite submission of original, quality research articles for consideration for publication in JIQSA. Methodologies of particular interest to the journal include historical-critical, contextual-comparative, and literary approaches to the Qur’an. We especially welcome articles that explore the Qur’an’s origins in the religious, cultural, social, and political contexts of Late Antiquity ; its connections to various literary precursors, especially the scriptural and parascriptural traditions of older religious communities ; the historical reception of the Qur’an in the west ; the hermeneutics and methodology of qur’anic exegesis and translation (both traditional and modern) ; the transmission and evolution of the textus receptus ; Qur’an manuscripts and material culture ; and the application of various literary and philological modes of investigation into Qur’anic style, compositional structure, and rhetoric. Located in and engaged with the relevant scholarly literature, building on existing knowledge. Conscious of authorial perspective and positionality, and explicit about aims, theoretical posture, and methodology. Reflective about their impact on larger issues and debates in the academic field of Qur’anic Studies and in broader public discourses around the Qur’an and Islam. To submit an article for consideration for publication in JIQSA, please e-mail a complete manuscript (in the range of 8,000-12,000 words) and abstract (approx. 400 words) to jiqsa@iqsaweb.org. Authors are encouraged to conform their submission to our current style guideline.